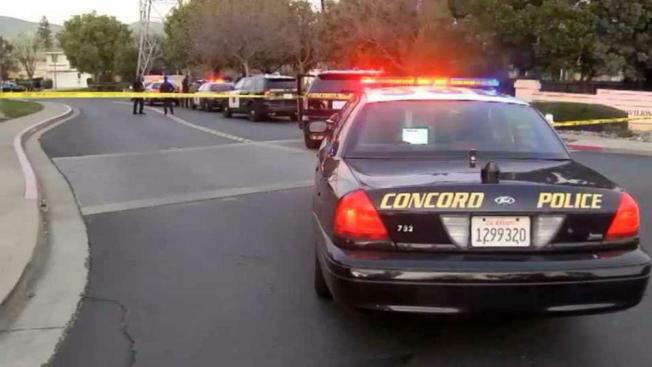 A 40-year-old Antioch man was taken to the hospital after Concord police shot him during a traffic stop and domestic violence investigation Saturday evening. Concord police were assisting in a domestic violence investigation that Antioch police began earlier Saturday. Concord police stopped a car at about 5:30 p.m. in the 1500 block of Allegro Avenue near Clayton Road, and identified the suspect as one of the passengers. He had a felony warrant for arrest in Contra Costa County for robbery, terrorist threats and dissuading a witness or victim through the expressed or implied threat of force or violence. The suspect fled when officers tried to arrest him, according to police. Police said officers shot the man, provided medical aid and waited for paramedics to arrive. He was taken to the hospital to be treated for injuries, according to police, and his condition is unknown. Police said the Contra Costa County District Attorney's Office was notified and an officer-involved shooting investigation is underway. Anyone who witnessed the event is asked to contact Concord Police Detective Mahan at (925) 603-5817. Police said they will provide more information as the investigation continues.